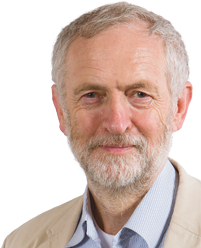 Below is the text of the speech made by Jeremy Corbyn, the Leader of the Opposition, at the People’s History Museum in Manchester on 21 June 2016. Thank you for being here today and for that introduction, Diane. Thank you to Alan Johnson for all of your hard work and mileage you’ve put into the campaign, and to all colleagues: MPs, MEPs, councillors and activists who are determined to make our remain and reform position clear. Kate Green is the shadow secretary of state for Women & Equalities and an excellent advocate for that cause. But, as you will all know a few days ago we lost one of the great fighters for women and equalities in this country so I would ask you all to reflect for a moment on the life of Jo Cox. It’s a pleasure to be here today at the People’s History Museum which chronicles the struggles of working people over generations.